Since 2012 and once a year, Vienna hosts the International LET’S CEE Film Festival, exclusively featuring high-quality productions from Central and Eastern Europe (CEE) including the Caucasus region and Turkey. The Festival not only brings a wide range of cinematic masterpieces to Vienna, but, meanwhile, hosts up to 150 directors, screenwriters, producers, actors, cinematographers and other film experts from across Central and Eastern Europe, year after year. 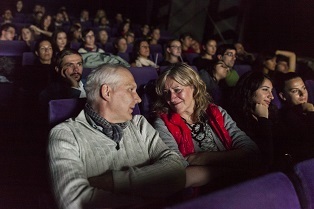 Nearly all screenings are followed by Q&A sessions with the respective filmmakers, providing an unforgettable opportunity for the audience to gain personal understanding of a film and turn the visit to the cinema into a unique experience. 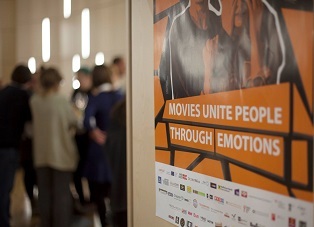 The programme presents a carefully curated selection of the best current feature films, documentaries, shorts and promising debuts from 26 countries in total, shown in the frame of four competitions and various other categories, ranging from legendary classics, topic-related retrospectives and tributes to prize-winning animations and even children’s films. With only a few exceptions, the roughly 150 films are presented in their original versions with English or German subtitles, and most of them are Austrian premieres. 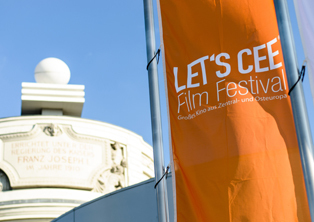 The LET’S CEE Film Festival not only brings a wide range of cinematic masterpieces to Vienna, but, meanwhile, hosts up to 150 directors, screenwriters, producers, actors, cinematographers and other film experts from across Central and Eastern Europe, year after year. In the past six years, Oscar winners like Branko Lustig, Allan Starski, Jan Svěrák, István Szabó and Danis Tanović, as well as many other famous filmmakers such as Agnieszka Holland, Alexander Sokurov and Béla Tarr have accepted the festival directors’ invitation and presented their work in Vienna. Nearly all screenings are followed by Q&A sessions with the respective filmmakers, providing an unforgettable opportunity for the audience to gain personal understanding of a film and turn the visit to the cinema into a unique experience. The main goal of the festival is to advance and promote Central and Eastern European films in Austria, and naturally also abroad. 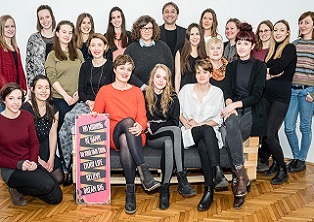 A special focus is placed on initiating international cooperation within the film sector and on supporting young talents from Austria, and Central and Eastern Europe, as well as to make a significant positive contribution to a modern and exemplary understanding of intercultural dialogue, both on a national and international level. The LET‘S CEE Film Festival embodies a clear canon of values. One of the festival philosophy‘s cornerstones is a clear commitment to an open, pluralistic, democratic society free of prejudice and based on the fundamental principle of the rule of law, a common European identity, respecting values such as tolerance, solidarity, equal opportunities and justice as well as unconditional protection of human dignity and human rights.